Ideally, what you want is to neutralize either your slicing or hooking tendencies by balancing out the pressure in your right hand, which closes the face, and the left hand, which tends to open the face. If you slice, your right hand probably isn't doing its job correctly. Ideally, what you want is to neutralize either your slicing or hooking tendencies by balancing out the pressure in your right hand, which closes the face, and the left hand, which tends to open the face. If you slice, your right hand probably isn't doing its job correctly and it's gripping the club too lightly. Conversely, I see a lot of players who hook the ball with a left-hand grip pressure that's too light and/or a right hand that's too firm. It should be the other way around if you want to stop hooking it. 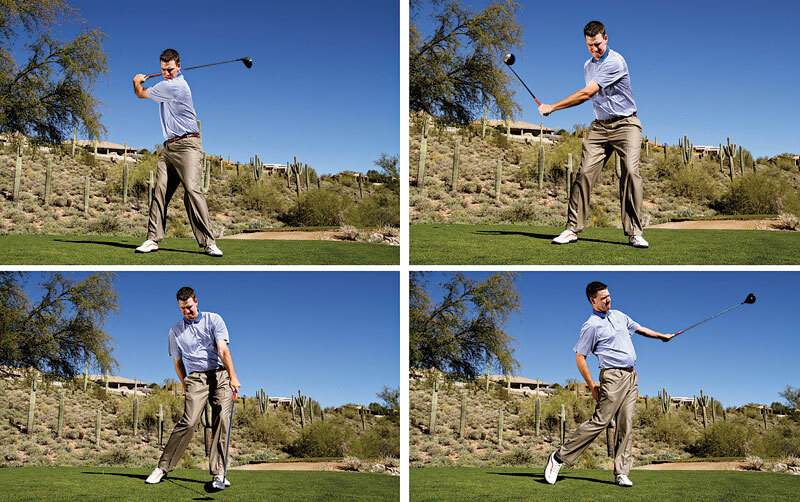 The key is to experiment with the correct right- or left-hand grip pressure that helps you hit straighter shots. This may mean equal amounts of pressure in both hands, or it may mean one hand grips the club more firmly than the other. Grip pressure is a great thing to work on because it's simple, and it's also something you can bring to the course. If you're having trouble hooking the golf ball, a great drill is to practice making one-handed golf swings with a firm grip pressure. Because the right hand isn't onboard to help close the face through impact, the club will stay open at impact, helping you get a better feel for not over-rotating the face and hitting a big hook. After a few tries, make some normal swings, and remember that the right hand is just along for the ride. Slicing the ball is never fun. 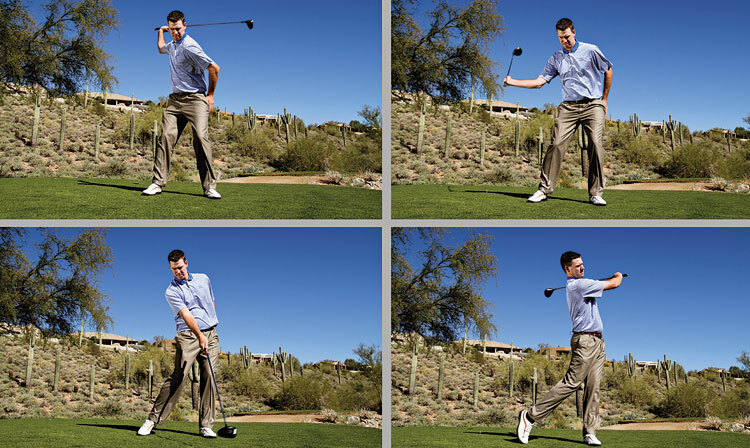 A great drill to combat the slice is to swing the club using only your right hand with light grip pressure. 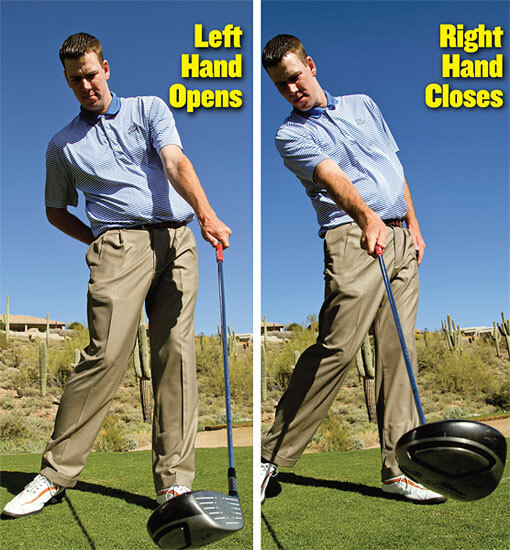 The goal is to feel the right hand rolling the clubface closed through the hitting zone. Because of the lighter grip and no left hand in the way, you'll quickly feel an exaggerated roll of the hands through the shot. 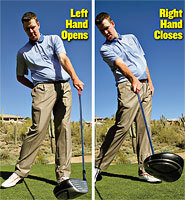 Try it, then make a few normal swings, and remember that the left hand is just along for the ride. 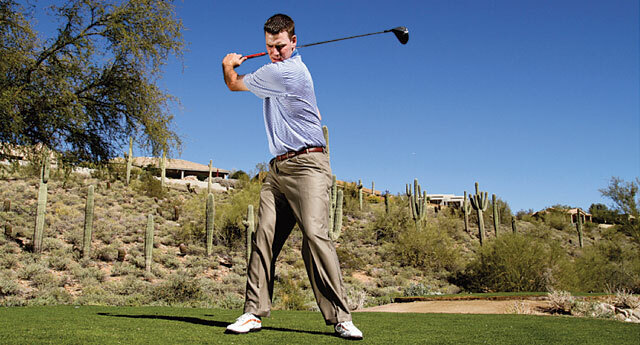 Justin Klemballa, PGA, teaches at the Jim McLean Golf School at Sunridge Canyon GC in Fountain Hills, Arizona. You can get more information at sunridgecanyongolf.com.